Search Engine Optimizatio or SEO - All of you might have heard of it? ?So what exactly is it? What do we do to make our Blog Friendly to our readers? - We do change the layout and design so that our blog looks elegant to eyes. What do we do to make our Blog friendly to Search Engines like Google,Yahoo and Bing? - Here is where we should do SEO.. Here is a collection of My SEO tips for my beloved readers..
1) Don't put too much posts on homepage - When you put too much content on homepage, it leads to duplicate content. Means many pages on your blog will have similar content. Your latest post page and your homepage has got the same content rite? 3) You will have links to feeds on your pages. Or may be some links to social bookmarking sites. Too many links on a page makes it unfriendly for search engines. So you should add the rel='nofollow' tag to such not so important links..
- Social Bokkmarking links - If you use social bookmark buttons like that for digg,stumble twitter etc, try making them nofollow..
- Links to unimportant pages(unimportant to search engines.. ;) )like contact me page,link to me page,about me page etc..
- What you shouldn't do when using meta tags - I have seen many blogs using the same meta tag for all pages of the blog.You should never use such duplicate meta tags, I suggest that you use a separate meta description and keywords for your home page.You can use b:if conditions to do this. 6) Get back links.. Get more links to your site from your friends.. ;) You can also add a Link to your site Widget . 8)I won't add a archive widget.If i do it i will display it on a particular page only. - Why? The archive widget has so many links in it..As i said too many links on a page is unfriendly to search engines. Blogger automatically does some SEO for it.. Don't override it. You know something? Every blogger blog has got a robots.txt file.. see mine.. http://www.bloggerplugins.org/robots.txt Off course we cant edit them. 10)When building back links use your primary keyword as the anchor text. <a href="">Anchor Text</a> - > Just to explain what an Anchor Text is. I use Blogger Widgets as my Anchor Text. 12) Focus on what you write. Always try to write some unique and interesting content.You cant hope to be on top of search engines with copy paste blog posts.. These are some of the ones that i remember..Will update it if i find anymore.. I think..i am doing most od these things..i am only missing the 7,8.9,10 tips...i will try to implement..thank you for this nice post..
these thread are useful for sure..
For No.3 How I do that? For the links matters I read somewhere there a limit of links on a site/blog, the limit is 100 links. What is your comment about this. I'm trying your code snippet which reverses the blog name- post name order. i hadn't seen this till now. that is a good hack.. but it will generate small meta descriptions.. i am not too sure if that is good.. For example this page will get a meta description which is less than 35 characters.. i am not too sure if it is good to have such too short tags. i will surely look into it and update the post.. thanks a lot for letting me know..
not follow feed links and not important links... This is what I'm going to implement now..
thanx for the rel=nofollow tip...am gonna try that.. will be hlpful if u just come to ma site and just point me the dont's and do's thre.. just some tips...cu arnd..
thanks very much but please explain how to seprate kwywords in all blog posts ? nice info.. i`ll implement in my blog.. I had done all the changes in the post Removed the archives, Added the no follow link to unimportant link. All i need to do is , to add alt text to all of the images in my blog. I think it is a very tough job... I had tons of images and charts in my blog without alt text. 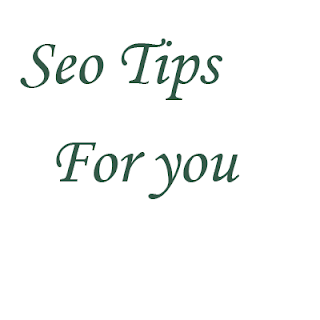 Thanks a lot for your tips on SEO. Nice tips, need to impliment a lot of these! It is very useful tips.. thank you so much..
Good tips for a begineer. Thanks. Great info! I'm going to put a link to this article on my blog. plz explain about the nofollow how to do this. I have problem with lot of duplicate Titles showing up on google webmaster tools and found a trick to put and it will ignore all title if it's is home page. Now that applied the Title hack from your page as well, do I need to remove the previous trick? Please check my site and give me more advice to increase my ranking in google as my page is 1 year old now but I don't get much of organic traffics. Seriously, can someone with SEO experience and able to spare some free time to check out my site above. It seem like the more I do to it, the worse it get. After 2 months of launching my site, it seem to have about 500 hits a day. After one year, now only 20 hits a day. I noticed you said not to add a Blog Archive. I find the Blog Archive extremely useful on the sites I visit.. so I figured there had to be a way to get the archive AND be search-friendly. So I came up with a hack- add nofollow to all the links. I was hoping this would be easy.. and it was! I wrote about it on my blog. Do you want us to remove label cloud as it contains lots of links or is there a technique to make ll labels to nofollow link? very nice tips and useful post. Where's the 2nd part of this post? Love it! You are great! Is your Blogger Directory really work..?